MultiScreen has client application - MultiMonitor. State Panel displays Errors for TV channels in Real Time and it allows combining of different Remote Sites in Central Monitoring Room. All Sites can have their own MultiMonitor applications, which control channels on their site only. 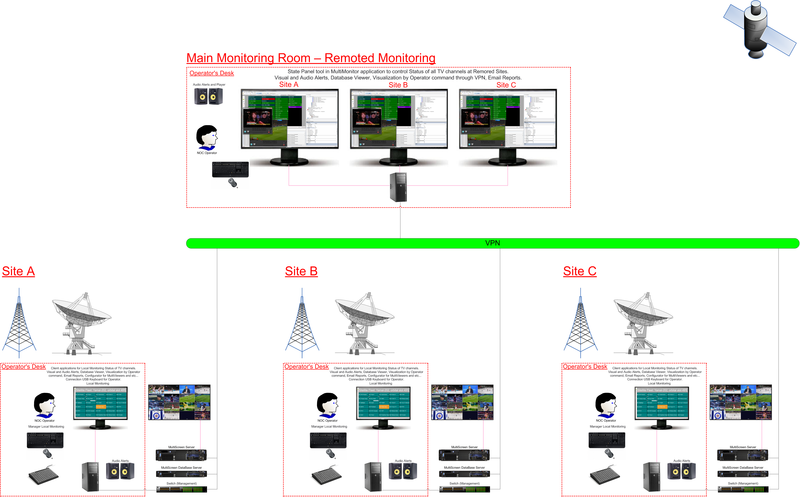 However, MultiMonitor installed in Main Monitoring Room can include TV channels from all Remoted Sites. MultiMonitor includes Player which allows requesting any selected TV channels from any Remoted Site to Central Monitoring Room through VPN. This feature requires licensing for source encoder. Encoding of Video and Audio for Preview Player could be carried out with low bitrate and resolution in order to provide high speed for streaming of requested channels through VPN. 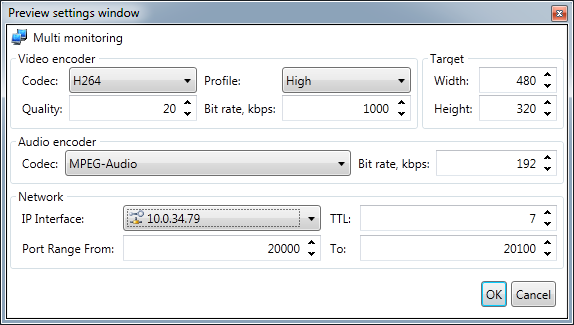 All settings (Codec, Bitrate, Quality, Profile, Resolution) could be customized to fit the customer needs. In order to unite Remoted Sites only VPN connection between them is required. 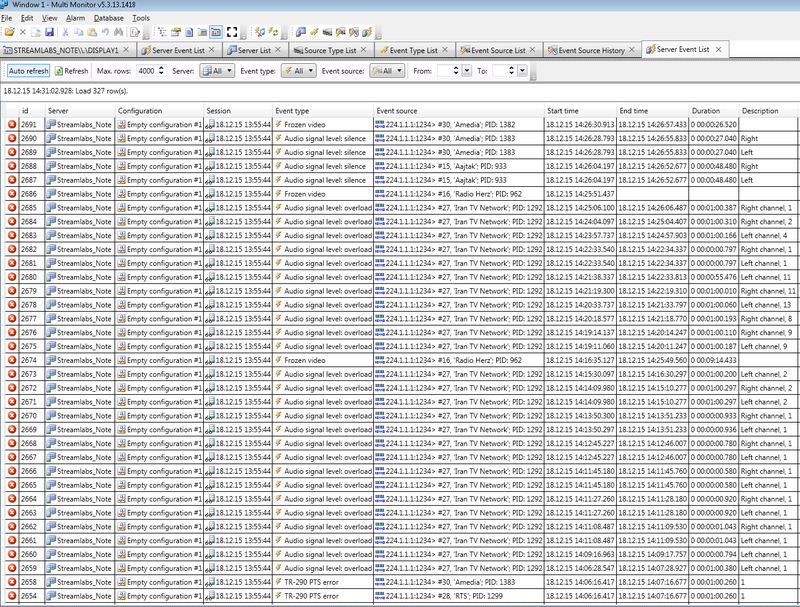 MultiMonitor can work with a few Databases simultaneously, meaning that Operator can check any Events and Errors remotely in case if all Remoted Sites have their own Databases. 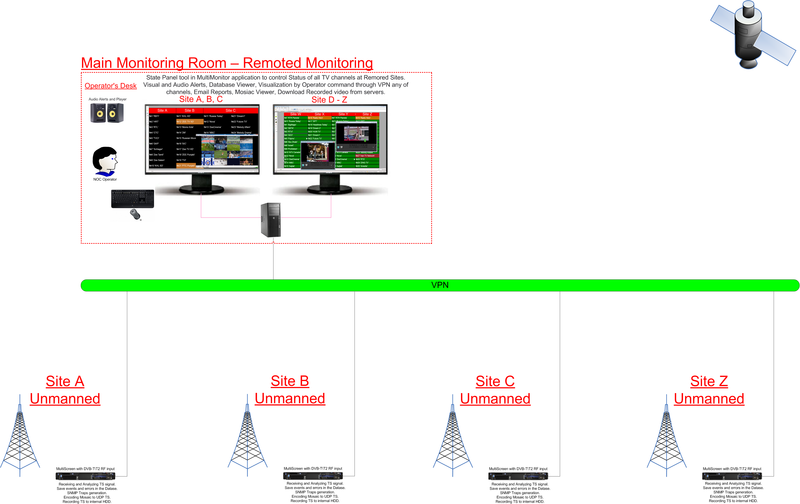 All unmanned DVB stations could be controlled from remote Monitoring Room by one OperatorAdministrator. Operator receives Visual and Audio Alerts from TV channels in Real Time. Moreover, operator has an option to request Live Video via VPN in Real Time in order to preview the TV channels; and download recorded video from the sites. Also, it is possible to display Mosaic from all TV channels received from unmanned sites.